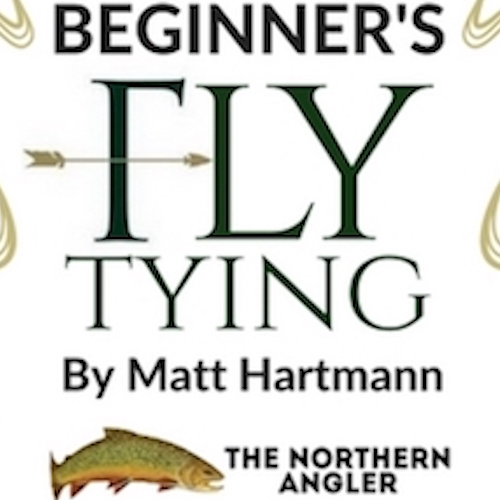 Join us for an introduction to fly fishing presented by Matt Hartman of The Northern Angler Fly Fishing Outfitters! Beginner's Fly Tying workshop is Sunday, June 17th (Father's Day) from Noon-4PM. This is the second workshop in an optional two-part series following Fly Fishing 101. Participants may attend either workshop individually, or enjoy a $15 savings by purchasing tickets to both together! Join us for an introduction to fly fishing presented by Matt Hartman of The Northern Angler Fly Fishing Outfitters! Whether you're interested in learning the sport, still figuring things out (who isn't!) or looking to meet some fly fishing friends we invite you to attend. The only requirement is leaving your ego at the door. Beginner's Fly Tying workshop is the second workshop out of two following Fly Fishing 101. Beginner's Fly Tying is on Sunday, June 17th (Father's Day) from Noon-4PM. Both workshops take place at Fieldguide Farmhouse, a 1910 fieldstone farmhouse located in Central Lake, MI overlooking Intermediate Lake, an all-sport's lake on Antrim's Chain of Lakes. 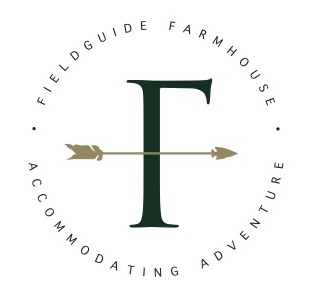 Fieldguide Farmhouse is a hospitality house that specializes in accommodating adventure, for their guest's on and off of the trail, by hosting outdoor recreation enthusiasts. Fieldguide Farmhouse also serves as Lee's home and a lodging and event venue in Central Lake, MI. Workshop participants are welcome to attend either one of the workshops individually, or the both of them as the information is sequential and we've intentionally scheduled time between the two events to give folks the opportunity to cast their line and return with stories to share. If you purchase your tickets together to attend both workshops, enjoy a $15 savings in the purchase price. Fly Fishing 101 is $75 and Beginner's Fly Tying is $75. When both tickets are purchased together, the total cost is $135 instead of $150, a $15 savings! Fly Fishing 101 participants benefit from a full introductory day that includes: a fly fishing starter kit, learning about fly fishing seasons, spots to fish in the area, etymology of the region, casting technique and lawn games, picking flies and more. It's a long information packed day! No fly fishing equipment is necessary to attend. If you have any equipment we recommend bringing it to learn on and to receive instruction on the same gear you'll be using in the field. In addition to heaps of fly fishing goodness, coffee, mid morning morsels, lunch and afternoon refreshments are included. Space is limited and available on a first come first serve basis. Fly Fishing 101 has capacity for up to 20 participants for an intimate student to instructor ratio and a minimum of 6 participants is required to host the event. Beginner's Fly Tying is a 4-hour workshop progressing up to the culmination of tying 3 flies. The first hour is walking through the very bare-bones basics and covering things like hook types and nomenclature, common tools, vises, putting a hook in a vise, etc... before we make it to putting material on a hook. For the first fly it's another hour as Matt demonstrates each stage of construction and we have some fun making mistakes and learning that things are not going to be perfect out of the gate. From there we can progress. Ultimately, following four hours, participants will have some of the basic skills to experiment on your own with confidence. You'll go home with three hand-tied flies: a streamer, nymph, and dry. No fly fishing equipment is necessary to attend either workshop. Since supplies are limited, if participants have a vise and tools we recommend bringing them to maximize capacity. Afternoon refreshments will be provided. Space is limited and available on a first come first serve basis. Beginner's Fly Tying has capacity for up to 14 participants for individualized student to instructor ratio. Matt Hartman, the instructor and Lee Maynard, the host are passionate about what they do, welcoming and easy going folks. With each of these workshops, we're looking forward to fun-filled days meeting new faces and introducing folks to the sport of fly fishing at Fieldguide Farmhouse! Don't hesitate to contact Matt at The Northern Angler (P: 231.933.4730 E: [email protected]com) or Lee at Fieldguide Farmhouse (P: 231.676.9344 E: [email protected]com) for additional information, questions or to register. Reel in your spot by registering today, don't delay and risk this 'fish' flying away!